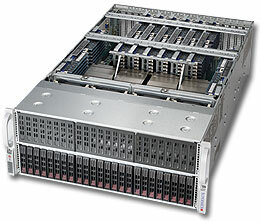 solution for medium to large sized data centers. web interface and a command-line interface. SNMP-based management is also fully supported. The Edge-Core ECS5510-48S and ECS5510-24S are a family of 48- and 24-port 10G Ethernet L2 switches designed from the ground up to be deployed in medium to large data centers. With unmatched port density and speed, the ECS5510-48S/24S family is ideally suited for converged Ethernet applications such as 10 Gigabit Ethernet traffic aggregation and Fibre Channel over Ethernet (FCoE) storage solutions for LAN, SAN, and IPC networks.